The pond was very large and deep and the overgrowing large trees and roots could potentially cause problems. The Walutente community had approached and been turned down by other NGO’s because they did not have the funds and expertise to carry out the work in these more challenging conditions. Water for Kids used their local knowledge to devise a solution which did not require the rebuilding of an expensive culvert. At a meeting with villagers the owner of adjacent land agreed to sacrifice his rice crop so that this option could be used. We achieved excellent cooperation and labour to complete the project from the community. The Walutente village is in Ibulanku sub country, on route to Makuutu, past Busesa. It is 17km from Iganga. 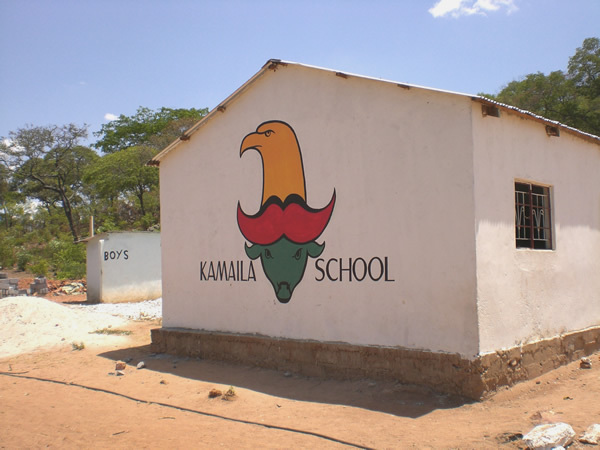 The community of 564 people, of which 189 are children, also has a school of 200 pupils attending from the surrounding villages. The Iganga District had suffered a prolonged drought of over 5 months. This has resulted in women and children being forced to collect water from shallow ponds of mud some of the worst conditions ever experienced by our Water for Kids team in over 20 years of working in Uganda. Waterborne diseases are still the largest cause of infant death in Uganda. Not only this but, collecting water from the side of slippery banks results in many fatalities as children and adults, who are unable to swim, often fall in and drown. Due to the dire conditions and drought suffered by this community in this district, Water for Kids started work immediately. 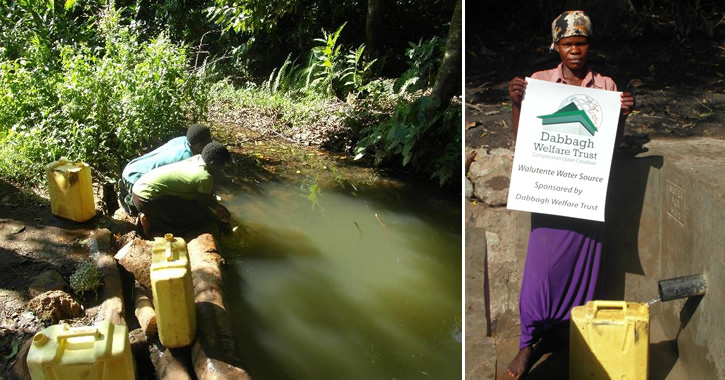 Funding from the Dabbagh Welfare Trust enabled Water for Kids to protect the natural spring with a dam and to provide a continuous running source through a pipe. Managed by the qualified and experienced Water for Kids team in Uganda and with the eager help of the community, work was completed in May 2017, within days of receiving funding from Dabbagh Welfare Trust. The immediate impact is that the Walutente community of 564 people and 200 children at the nearby school, now have close access to safe water which is able to be collected in a safe environment. The most significant impact is that safe water saves lives. Water for Kids ensure sustainability; the water committee now set up will look after the water source and keep it free from debris during the rains. Water will now be available even in long periods of dry weather and the Water for Kids Ugandan team, will manage and test the site regularly. Due to this, the benefits are long-term. From our 20 years’ experience of providing over 100 sustainable safe water sources in Uganda alone, we have been able to monitor other socio-economic benefits to a community receiving safe water for the first time. 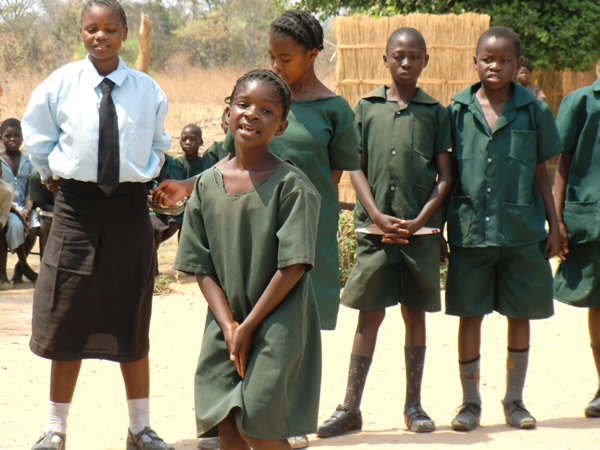 Greater attendance of pupils at school due to a dramatic drop in cases of cholera and diarrhoea. Increase in work capacity due to healthier work force. The rejuvenation of rural areas which in turn, slows down urbanisation. A decline in domestic abuse, due to mothers spending less time away collecting water. 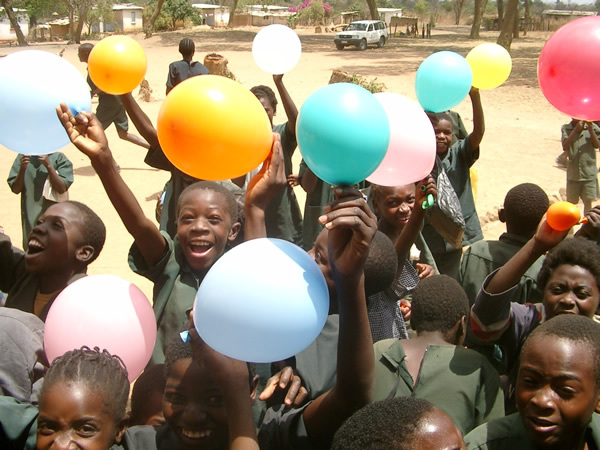 This project cost £1,394, making the average cost per person of providing safe water : £1.82. Many thanks to the Dabbagh Welfare Trust for funding this project.